My primary research interest is in the long- and short-term risk factors for poor mental health related to pregnancy and motherhood. Postnatal depression affects 10-15% of Australian mothers and, while treatments are available, preventing new cases is imperative to improving the wellbeing of new mums. I am also passionate about exploring the factors associated with adverse reproductive health outcomes such as stillbirth, low birth weight and premature birth. Such negative outcomes can have devastating impacts on families, and I aspire to identify those factors that may reduce the rates of infant death and poor birth outcomes. During my undergraduate studies in psychology, I became interested in issues around reproductive health, especially perinatal mental health. I have expanded these interests to also include how a mother's health can impact on adverse birth outcomes such as stillbirth, premature birth, and low birth weight. Now, as a mother of twin boys, I am even more aware of the importance of good mental and physical health for mothers to achieve positive outcomes for their infants. My vision is to provide infants with the best start to life by ensuring their mother's have the best prenatal mental and physical health possible. By identifying those factors that promote the best start to life, both women and their infants will have the best future possible. Dr Chojenta has worked for the Australian Longitudinal Study on Women's Health from 2001-2013. During this time she developed a passion and interest for a range of women's health issues. She has trained in a range of both quantitative and qualitative research techniques in order to answer a range of topics, to understand what factors promote good health and those that are related to poor health. 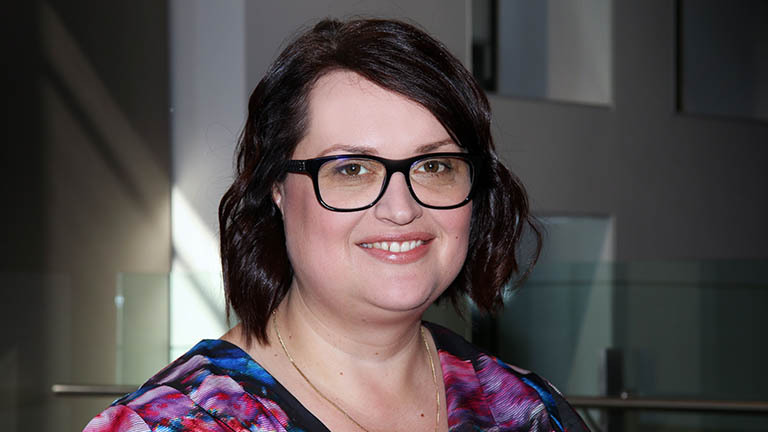 Her PhD examined the long- and short-term risk factors for postnatal depression in Australian women and found that a history of poor mental health was overwhelmingly the strongest predictor. These results show that early interventions are necessary to reduce the number of people experiencing depression across the life span. Dr Chojenta has also worked in a team of researchers to examine the effectiveness of screening women for perinatal mood disorders. This study determined that rates of referrals to specialists were improved when women were asked about their past history, not just current mood. Her post-doctoral research will utilise a range of datasets, such as self-report and administrative datasets in order to examine a range of issues. Birth details will be accessed via the Perinatal Data Collection, hospitalisation data via the Admitted Patient Data Collection, and health service use data via the Medicare dataset. These linkages will allow Hunter researchers to explore in detail the impact of health service use on overall wellbeing, as well as determine details of health and wellbeing that are not available via self report. Dr Chojenta has published over 20 peer reviewed publications, and presented at numerous international and national conferences on a range of topics. She have been awarded over $700,000 in grant funding and prizes to date. In the future I hope to be making a positive impact on the health and wellbeing of mothers, thereby giving their children the best possible start to life.